I have a question about my English Language & Usage Stack Exchange post: Is alliteration adjacent words and/or close together words starting with the same letter? If words between are permitted then how many? I don't understand why my question on alliteration is off topic. It has been put on hold because of this. Alliteration is a stylistic language device, a figure of speech and uses words and the sounds that the letters in them produce, to create an effect in the language of a sentence. It was suggested that I migrate this to Literature SE, but although alliteration is used widely in literature, it is the language technique in using it that I was asking about. I also noticed that there are other alliteration questions on this site and have not been put on hold/closed. Could someone please explain why there was so much uproar over it and why it is now being closed as off-topic. You could ask on Writers, but I don't think you necessarily need to ask on StackExchange at all. This is covered by the general references on rhetorical devices. The famous Silva Rhetoricae has this to say: repetition of the same letter or sound within nearby words. Similarly, LiteraryDevices.net: It is a stylistic device in which a number of words, having the same first consonant sound, occur close together in a series. I don't see call for the premise that the words must be seriatim. But that was based on the question I remembered you asking, not the one as it exists today. I just visited your question, and you've edited since I first saw it. That is, based on feedback from several comments under your question, you seem to accept that some interspersion of non-alliterative words between alliterative ones does not prevent the whole utterance from being alliterative. But now, you ask: since variation is permitted, how much? How many words between buttery bunches and bananas may appear before buttery bunches .... bananas is no longer considered alliterative? It is this question which has been closed as "primarily opinion-based", because it is. Allow me to explain. Alliteration is a language device. I'm not asking for opinion, I am enquiring whether there is a linguistic rule for how apart the words have to be. I have been trying to find a rule for a long time and have been unsuccessful. What do you mean, "a linguistic rule"? This has to do with neither syntax nor morphology. It also has nothing to do with letters, only with sounds alone. In other words, alliteration is a rhetorical device, and is not governed by grammar, aka the "rules of English" (I think Tom specifically said "syntax or morphology" to emphasize what exactly comprises "the rules of English" and thus what does not fall under that umbrella). In other words, you won't find analysis of alliteration in, e.g. CGEL, any more than you would find one of euphemism. That is because both devices operate on levels separate from the syntactic one: euphemism works at the semantic level (or pragmatic), and alliteration operates at the phonetic level¹. And, since such rhetorical devices are not governed by the rules of English (grammar, orthography, etc), disputes about what qualifies as use of a device cannot be resolved by reference to the rules of English. So that is what the closure as primarily opinion-based was stating. That any answer to your question could not claim to be more than an opinion. At least so far as the rules of English (which is what this site concerns itself with) are concerned. Now, closure stings, though no one wants it to, and despite the constant abjurations from the SE hivemind to not take question closure personally. And I rush to repeat that abjuration here: closing your question was by no means meant to be a personal insult directed at you, to disparage you, or even is it an indictment of your question. It simply means that the site is not equipped to answer questions of this sort. The question is still very legitimate. But we cannot answer it (except insofar as this Meta-answer is an "answer" of sorts, though of course it's moved you no closer to guidance on "what qualifies as alliteration" than the closure of your question has; it merely provides the same service with more detail). So where, then, can you get an answer to your question? Who can answer it? 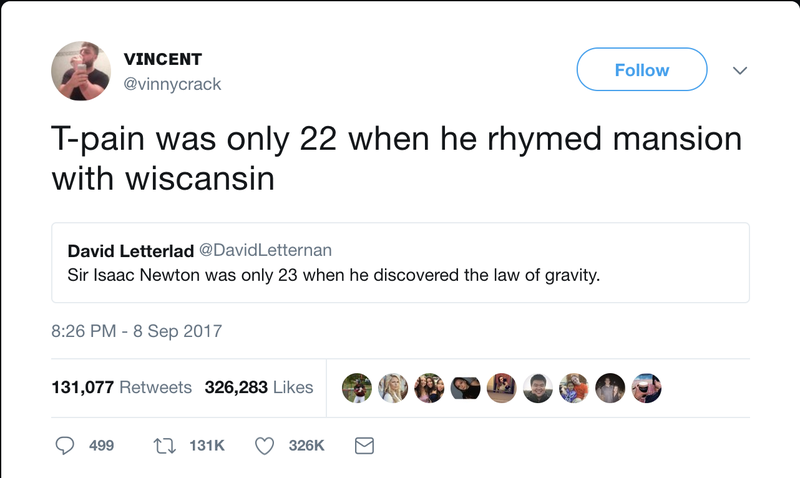 Alliteration is not unique to English. In fact, the word itself was coined in the 15th century in a Latin work analyzing its use in Ancient Greek (the etymology is itself Latin). As a rhetorical device, alliteration is assessed by its effect on the audience. To elaborate on (2), "style" is the parts of language which are left over when all the rules have been accounted for; it's precisely the part that is hard to quantify. As timbre is to music, style is to writing and speaking: critical yet ill-defined. Anyway, by (1), you might conclude you needn't restrict your search for guidance to English-focused resources. And by (2), you may decide that seeking prescription is misguided, and that resources focused on impact, rather than rules, would be more helpful. Writers.se, where you might ask "What makes for effective alliteration?" or "What transgressions of consonance or meter can cause an alliterative phrase to lose that character?" Literature.se where you can ask for historical examples of effective alliteration by notable writers, and perhaps for examples of writers pushing alliteration to or beyond its limits. Maybe they can identify instances of extreme or borderline alliteration, with great gaps in the consonance, that just barely pass muster, and yet still work. Or, ultimately, you may simply be satisfied with the benchmark "It counts as alliteration if you make it work as alliteration". ¹ To clarify why the rules of grammar cannot govern phonetic devices, consider an question analogous to yours on a similar phonetic device: "What counts as onomatopoeia? How close does the word's pronunciation have to be to the sound imitated to qualify?" This analogy should make it clear that the answer can't possibly be guided by the grammar of English or any other language (because human grammar is completely independent and ignorant of, e.g. the barking of dogs or the hissing of rain on the pavement), and that the answer must be "If it's similar enough that your audience knows what sound you're imitating without you having to explain it! ", because that's the purpose of onomatopoeia, and thus the only benchmark possible or needed. I like your question, which I'll loosely paraphrase as: "When does alliteration lose its echo?" That question appeals to me as an English language enthusiast, and while answers wouldn't be able to clinically pinpoint the number of intervening words required to stop similar sounds from 'echoing' for alliteration, they would be able to say things like "when the words in between aren't stressed". Also, although the question might not have a precise, authoritative and definitive answer in the sense that a hypothetical "You are or you is?" does, it's far more interesting, and I don't think it's any looser than, say, Barrie Englands's "Why is American English so wedded to the subjunctive?" or even Antony Quinn's "Do most languages need more space than English? ", where the test-string (for 'how much space') is left unspecified. Although I don't have any better answer to your alliteration question than "you'll know it when you hear it, and if you don't hear it, it's not there", I'd be interested to read answers from the more reflective among us as about how this can be or has been formalised. I'd vote to reopen this question if I could, but it's been deleted by a mod, so I can't. Not the answer you're looking for? Browse other questions tagged discussion on-topic-off-topic closed-questions . Why has this post been put 'on hold'?